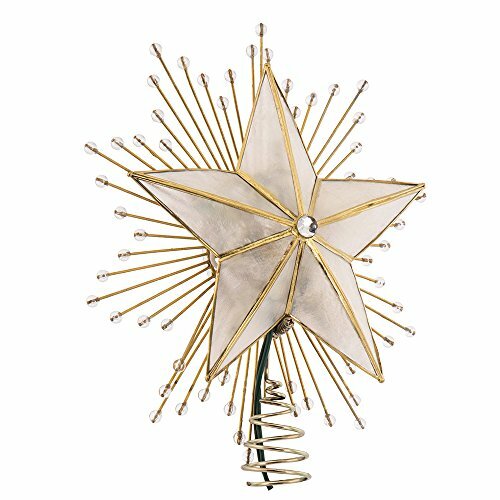 Add to the lighting and décor of your Christmas tree with this 14" 7-Point Natural Capiz Star Lighted Treetop by Kurt Adler. This classic star is adorned with a spray of wire rays and acrylic beads, and is framed with a brass plated finish. This lighted treetop includes 4 spare bulbs and 2 spare fuses.